As a child Robert Burns was regaled with spooky folk tales of monsters, ghosts, and witches by Betty Davidson, a friend of the family who lived with them in Burns Cottage. It is believed that he wrote Tam O’ Shanter inspired by the tales she told, while in other poems, such as Halloween or Address to the De’il, he showed his love of Scotland’s darker beliefs and traditions. 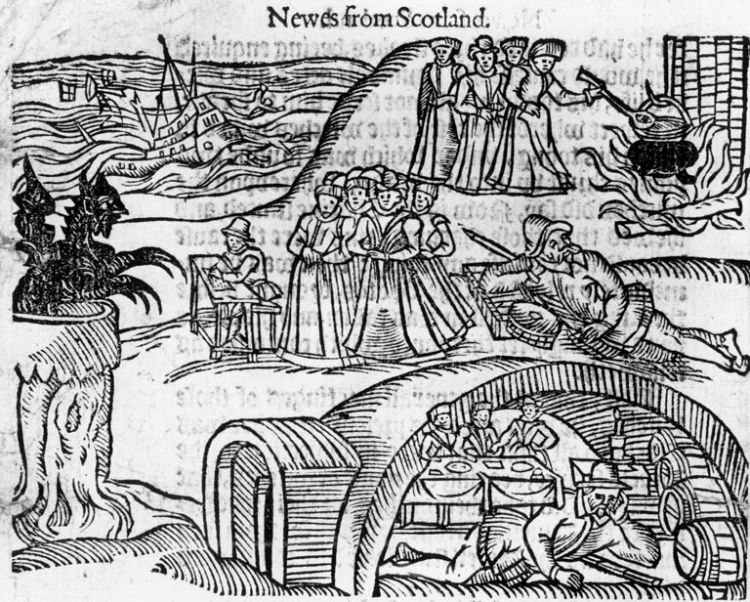 Below we have listed 5 old Scottish Halloween traditions to introduce to the type of Halloween Burns would have enjoyed in his time. http://www.marthastewart.com has a tutorial on how to create these traditional Halloween lantens. 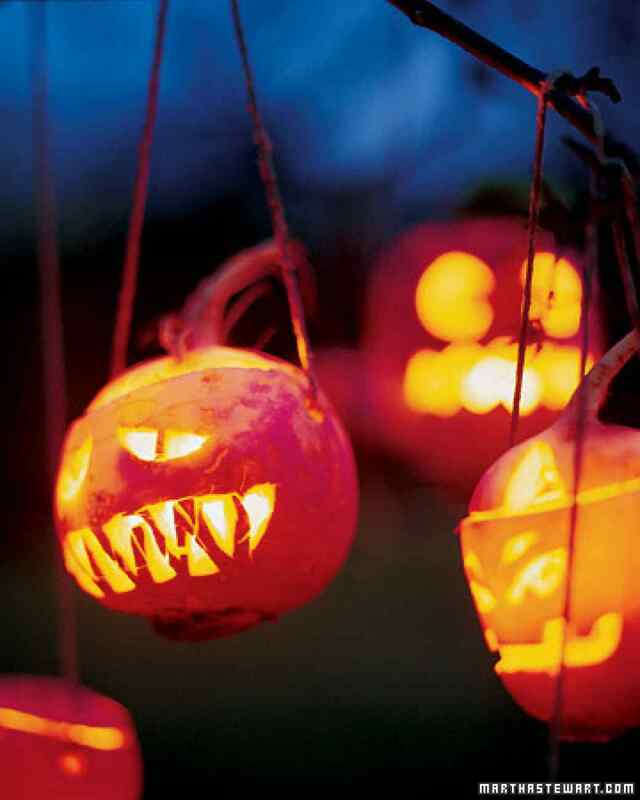 Before pumpkins became popular, the people of Scotland made their Halloween lanterns out of turnips! These were called ‘neep lanterns’ and are just as spooky to look as the ones we make today and have the same intended function of scaring away evil spirits. One advantage about using turnip, though, is that they are lighter and easier to carry as you go out guising on Halloween night! However a disadvantage is that the turnip is harder to hollow out than pumpkin, and we don’t think neep pie would be as tasty as pumpkin pie! This engraving shows couples throwing their nuts in the fire. In addition to the bonfire, there would also be the burning of an effigy, just as we still do on Guy Fawkes Night. However, instead of a Guy, a ‘Shandy Dan’ was burnt. This was the word used to describe an effigy of a witch! The Glasgow Women’s Library had a go at this in 2007! You have probably all, at some point, taken part in apple dookin’ – the art of grabbing an apple with your teeth while your hands are tied! 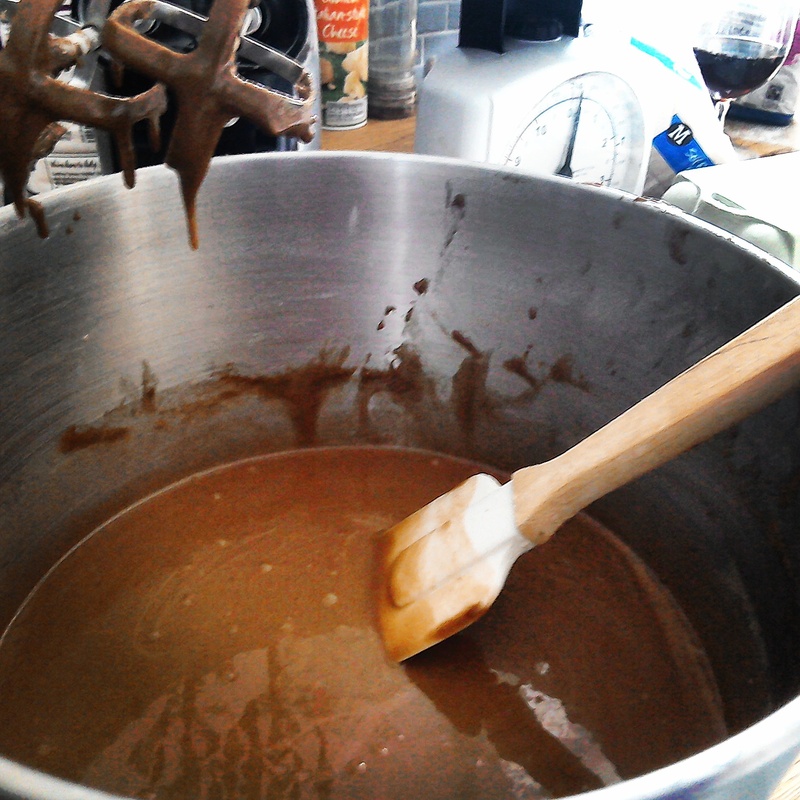 The activity with the treacle scones is similar. 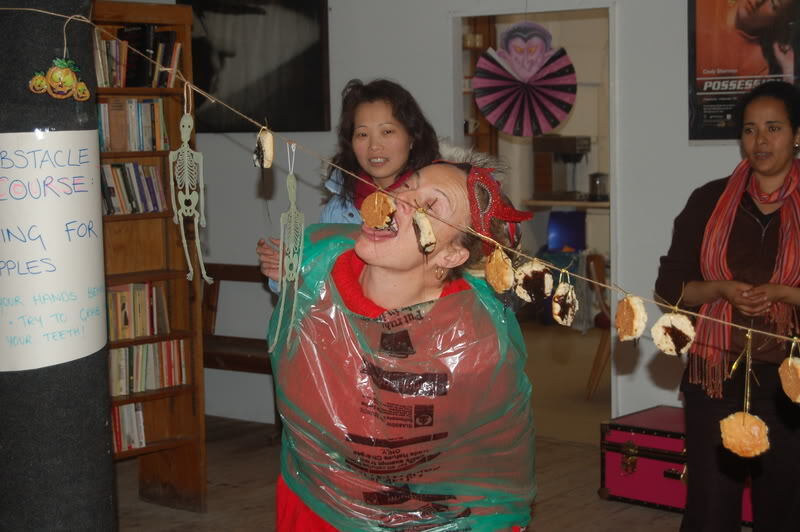 The scones are covered in treacle and are then placed hanging on a rope. The children, once their hands are tied and their eyes blindfolded, must try and get the scones down from the line using their teeth. One added devilish trick on the adult’s part was to jangle the line up and down while they tried! Another tradition connected to this time of the year were Dirge Loaves (or Soul Cakes in England). 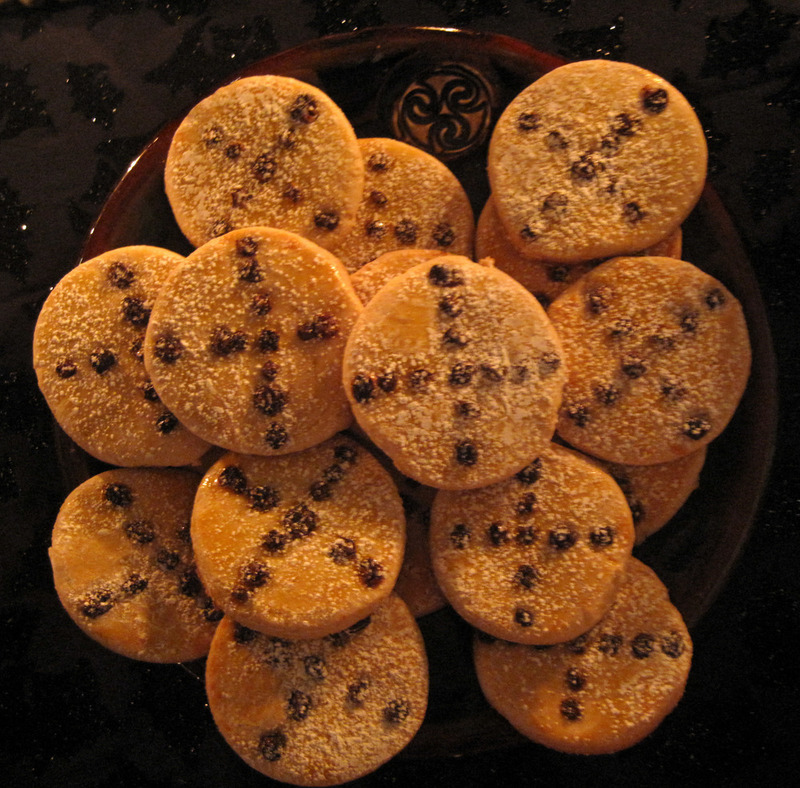 These were connected to the All Saints Day traditions (the day following Halloween) and were usually made with ginger, nutmeg, and cinnamon. These were handed out to children as they visited each house in the neighbourhood, supposedly offering up a prayer in memory to Jesus and his disciples. 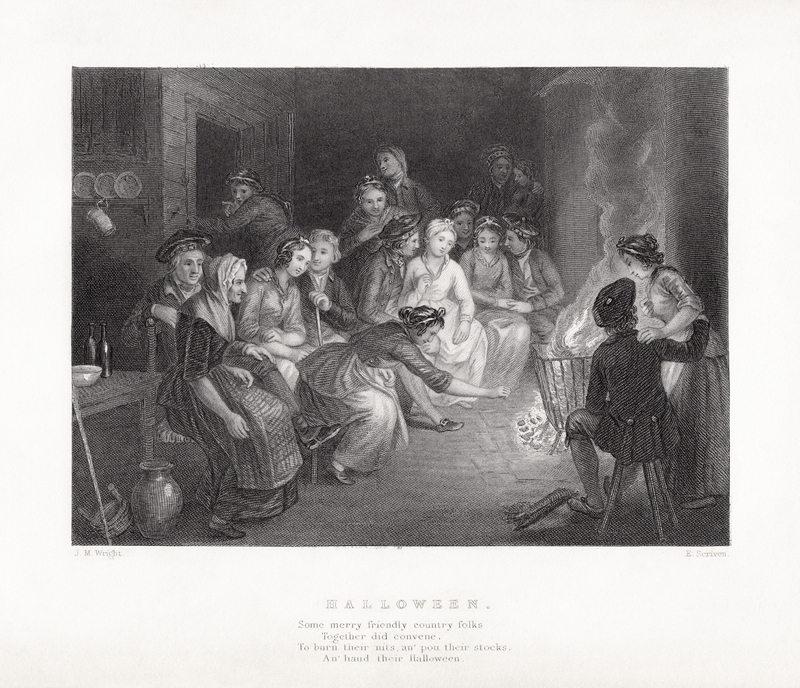 It is thought that this activity inspired, or is connected to, the tradition of guising on Halloween night. Although this was a catholic tradition originally, it was kept up in many regions regardless of denomination. Do any of these traditions interest you? Ever carved a turnip or grabbed a treacle scone with your teeth? Let us know! Having an adult Halloween party and wondering what to serve? Well we’ve taken some inspiration from Robert Burns’s famous poem, Tam O’ Shanter, which recounts the dangers of spending too long in the pub! So stay wise and stay in with this lovely beer and chocolate cake with vanilla malt icing and avoid being caught by warlocks in the mirk! 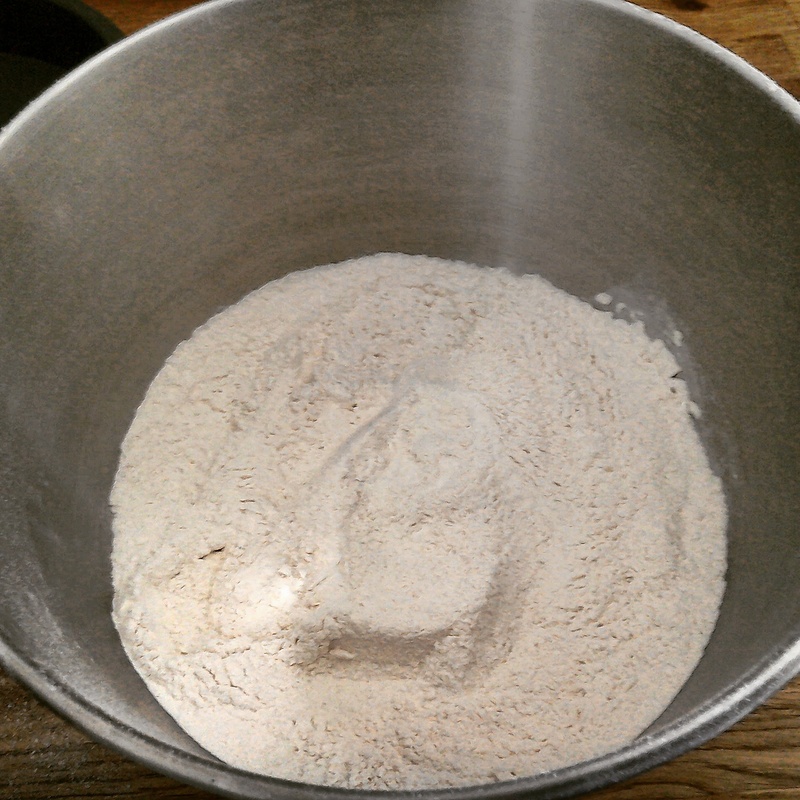 Mix the flour, bicarbonate of soda and baking powder together making sure to sieve the flour quite high. Add all the other ingredients, except the ale, into the bowl. Slowly incorporate the ale into the mixture. Divide into 2 lined and greased baking tins and bake for 30-35 minutes. An inserted toothpick should come out clean. Place on a wire rack and cool. 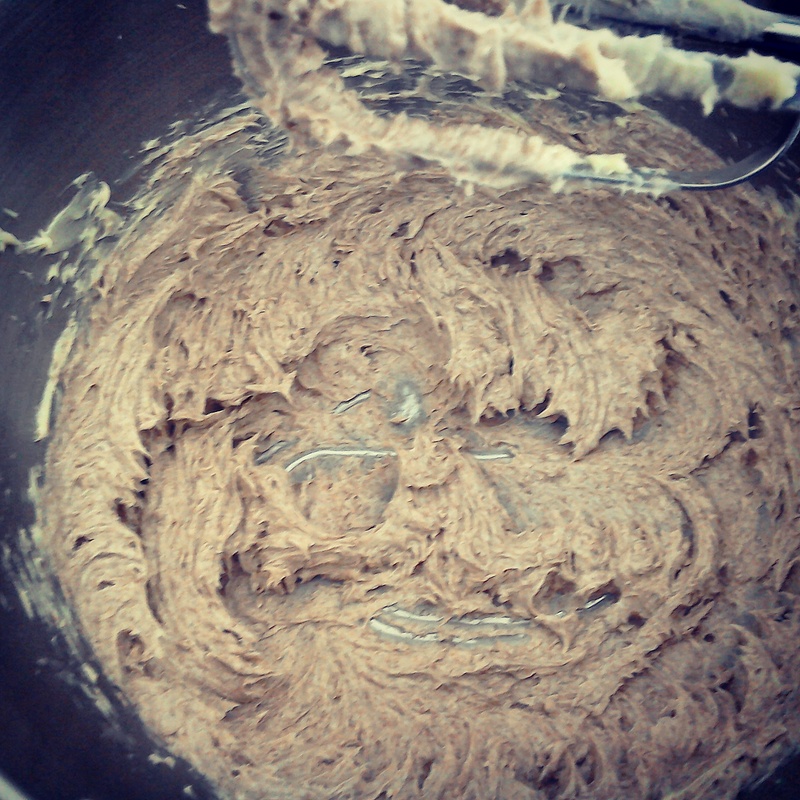 To make the icing cream the butter until smooth. 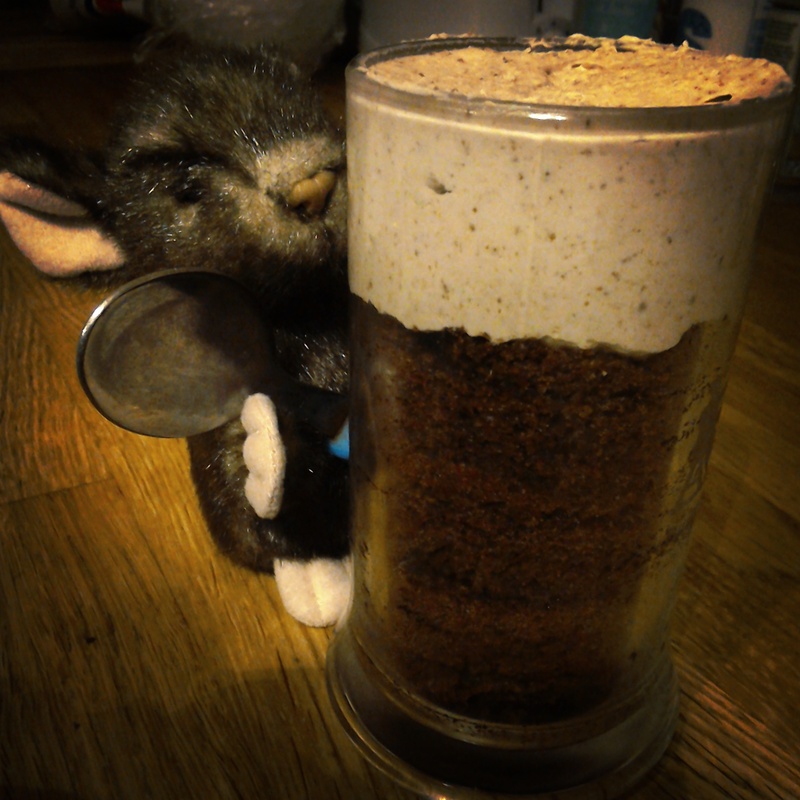 Add in the malt powder and mix until incorporated. Add in the powdered sugar in 3 batches. Once combined add the vanilla and mix that in. 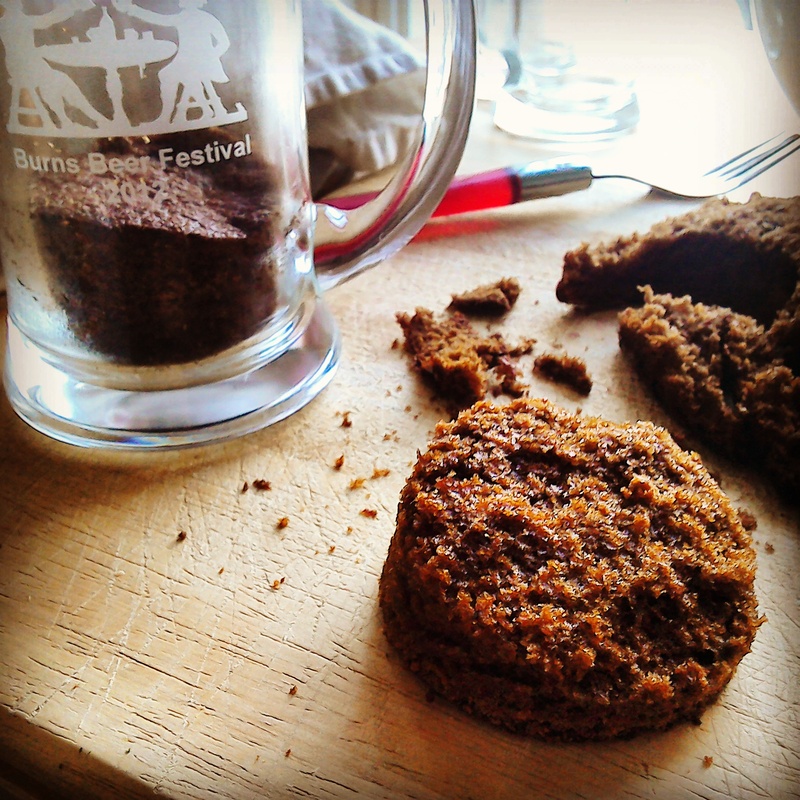 Select a cookie cutter that will fit the size of tankard you are using. Cut the cake and layer it into the glasses leaving room for the icing. 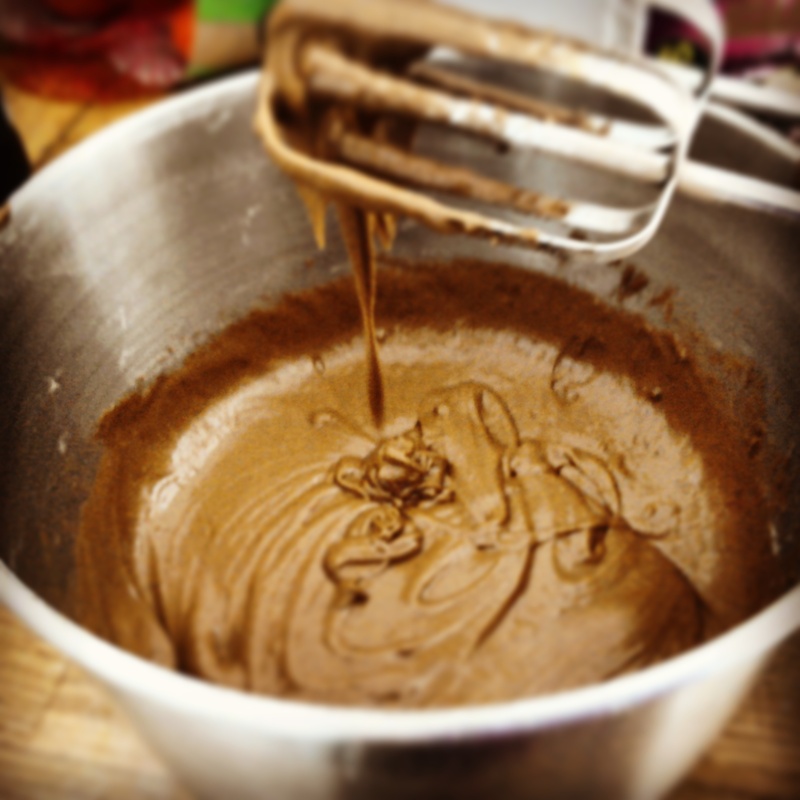 Dollop on the icing, smooth the top with the knife , clean the rim using paper towel and voila! 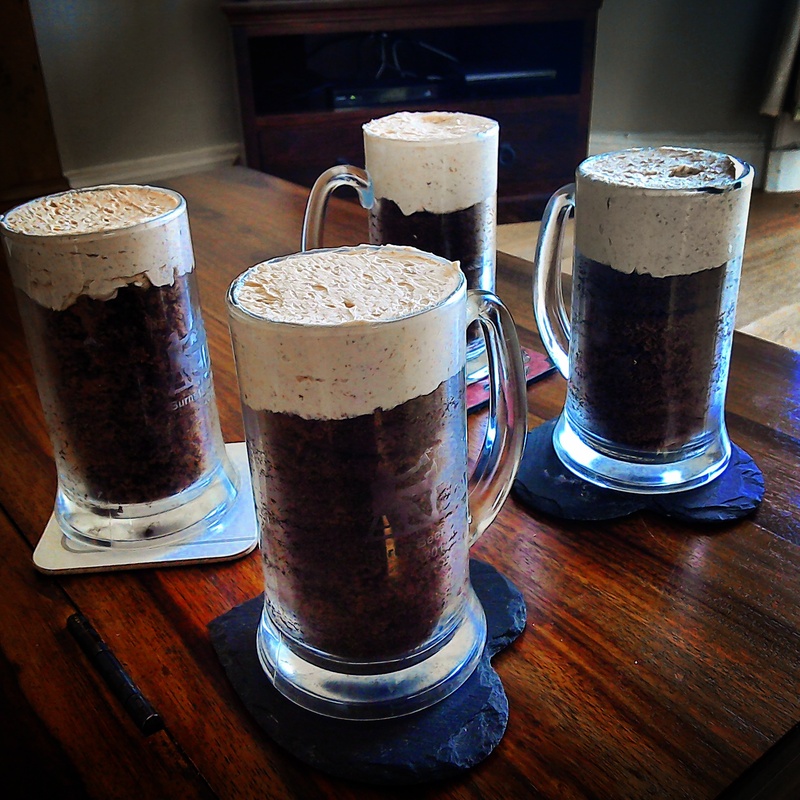 You now have excellent beer cakes to share with your friends! 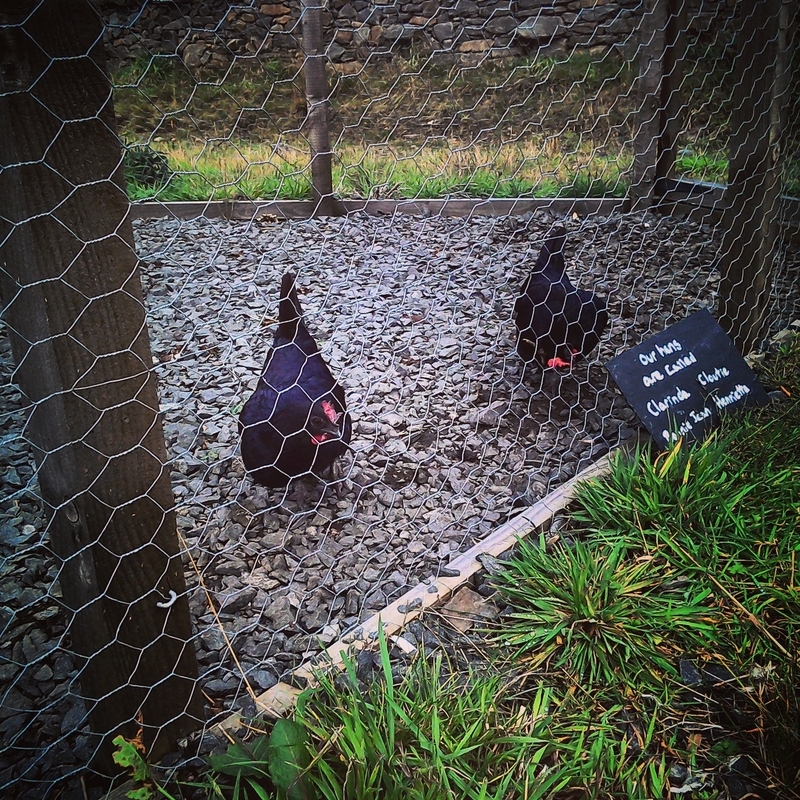 Recently Burns Cottage has welcomed in a group of hens to bring life to the smallholding area of the land which the Cottage sits upon. A Scottish type of hen called the Scots Dumpy is one of the breeds that we selected. However, within the Scots Dumpy breed there are so many varieties – such as the Moniker Dumpy which is a particularly short and stout chicken. The most defining characteristic of short legged Scots Dumpy’s is the shortness of their legs; adult birds are less than 5 centimetres (2 inches) off the ground. In terms of their behaviour, occasionally the males can be aggressive but females are calmer. Sadly, the Scots Dumpy conservation status is at risk. Henrietta and Cloutie, our Scots Dumpy hens! Similar breeds can be traced back to AD900 as it is said that the Picts used to carry them into their battle camps to warn of approaching strangers because their hearing is very good. Other tales tell us about them being trained to crow by the hour, day or night. The standardisation of the breed emerged in the 19th Century. However, while this is a Scottish breed, there have been archaeological findings of them in York, England. Scots Dumpy’s were first shown to London in 1852. Their main use is for eggs and meat and the egg colour is off white. Originally the Scots Dumpy would have been Cotters fowl and their main uses would be producing eggs, meat. They could also be useful as they would eat any spillage which would otherwise attract vermin. The Dumpy’s would’ve exercised less back then so older bird’s flesh is less toned resulting in meat that would be more succulent and tender. Cp in the table means ‘Creeper Gene’, which refers to a semi-lethal gene in the Scots Dumpy which shortens its legs in a single dose (heterozygous) or causes the embryo to die during incubation in a double dose (homozygous). It is interesting to remark that, of their many names, Scots Dumpy hens are also known as Creepies! I hope that this has made you aware of the older breeds of Chicken that families like the Burns Family would have had. 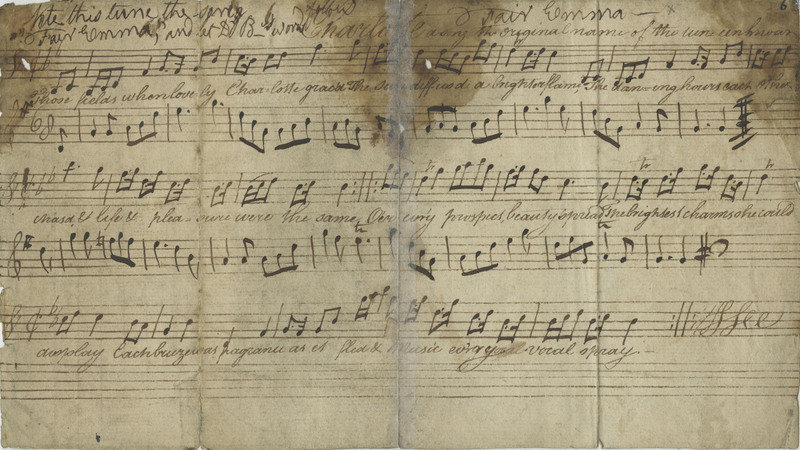 Published between 1787 and 1803 in six volumes, the Scots Musical Museum was, and still is, one of the most important collections of traditional Scottish music ever compiled. The initial idea was conceived by an engraver and music seller James Johnson (c. 1750 – 1811), but caught the imagination of Scotland’s Bard when he first met Johnson in Edinburgh in 1787. By this time, the first volume of the collection was already in print, but Burns’s enthusiasm as a contributor and co-editor led to a further three volumes being published during his lifetime, with a fourth ready by the time of his death in 1796. 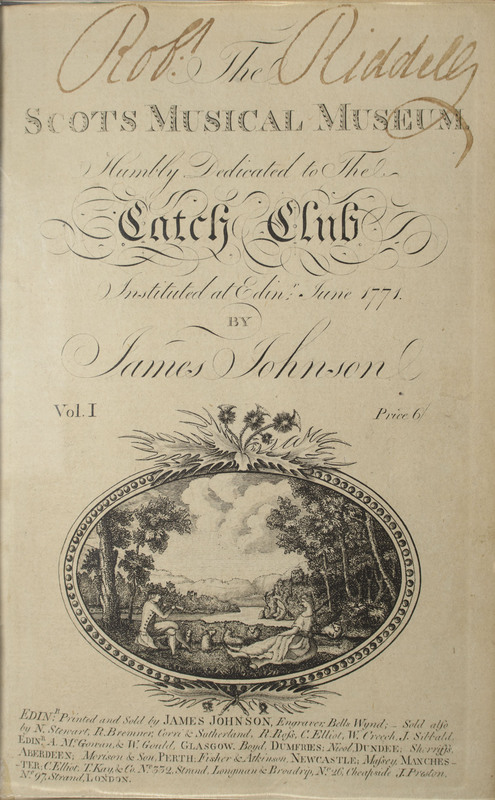 Johnson published the sixth and last volume himself seven years later in 1803. 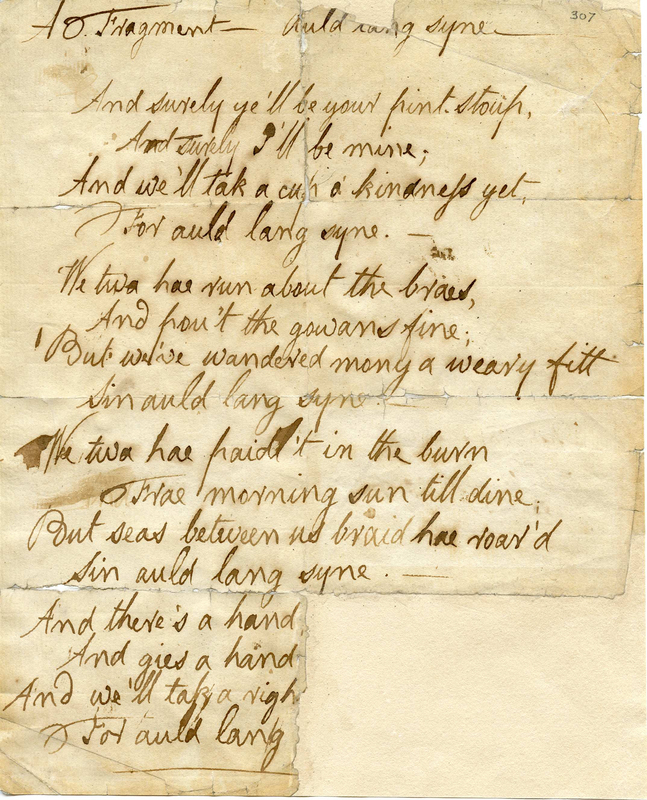 At around the time of their meeting, Burns undertook a series of tours around Scotland, writing and collecting songs and poetry. He was immediately enthusiastic about the project, and wrote of it to John Skinner, author of the song Tullochgorum: ‘An Engraver in this town has set about collecting and publishing all the Scotch Songs, with the Music, that can be found… I have been absolutely crazed about it, collecting old stanzas, and every information remaining, respecting their origin, authors…’ He also warmed quickly to Johnson himself, writing to him not long after they first made acquaintance: ‘I have met with few people whose company and conversation gave me so much pleasure, because I have met with few whose sentiments are so congenial to my own’. Many of Burns’s songs used traditional tunes. Over the next few years, Burns took a key role in collecting for and editing subsequent volumes of the Museum, contributing over 150 of his own works, including ‘O my Luve’s Like a Red, Red Rose’ and ‘John Anderson, My Jo’. He also liked to set new words to traditional tunes, thus contributing to their longevity. Despite it being Johnson’s initial brainchild, it seems to have been Burns’s enthusiasm and commitment which drove the project forward, and he often sent letters of encouragement and reassurance to his friend and co-worker: ‘Perhaps you may not find your account, lucratively, in this business; but you are a Patriot for the Music of your Country; and I am certain, Posterity will look on themselves as highly indebted to your Publick spirit’. Less than two months before his death, despite being seriously ill, Burns continued to champion the project, writing to Johnson with considerable foresight: ‘I venture to prophesy, that to future ages your Publication will be the textbook and standard of Scottish song and music’ This was the last Johnson was to hear from the Bard, but the strength of their friendship can be seen in his £4 donation to the fund raised for Burns’s widow, Jean Armour, and her children, despite his own poverty. Although Burns’s prophecy that the Museum would be appreciated and remembered for generations to come was proved correct, unfortunately it was not to achieve widespread popularity during Johnson’s own lifetime. He died a pauper, and his own widow died in a workhouse in 1819. However, his legacy, and Burns’s, lives on. How did you become a…curator? 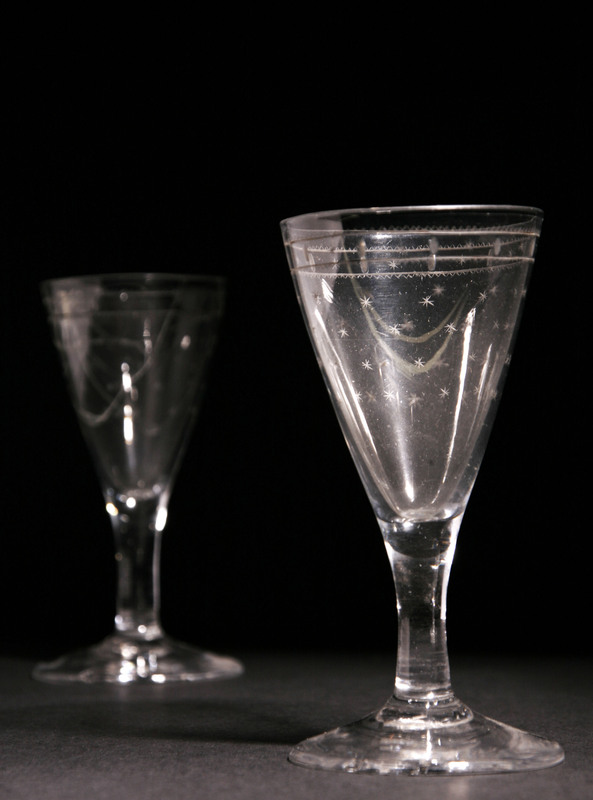 As curator Sean McGlashan gets to look after a fascinating collection including these wine glasses which Robert Burns gave to Clarinda. I have always been interested in art from a very young age. When I was young I attended privately taught art courses and entered special art courses in school. On graduating high school I started my first degree in Art Education, however, I realised early on that it is very hard to make a living at fine art so I became an art teacher! 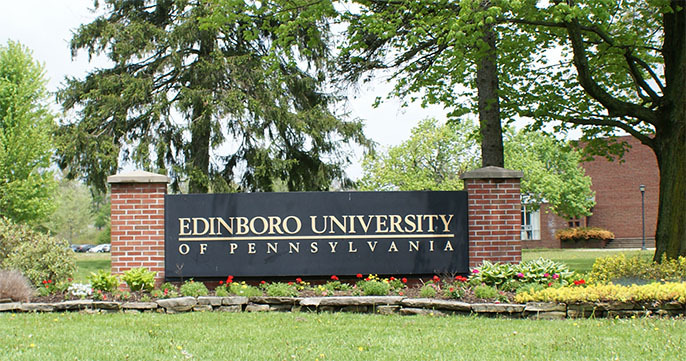 I am from Pennsylvania where I received a Bachelor’s Degree in Art Education from the University of Edinboro (yes, that is how it is spelled!) in Edinboro, Pennsylvania. In 1983 I moved to Dallas, Texas to be with my Scottish partner and I taught art to adolescents there for 10 years. While teaching I did my first Master’s Degree in Painting at North Texas State University. This degree was very important and made me a painter, which I continue as a favourite hobby. In 1994 we moved to Scotland permanently and I did a lot of part-time art teaching at Ayr College, Colmonell Primary School, Central College of Commerce, College of Food Technology and Departments of Continuing Education at Strathclyde University, Glasgow School of Art and University of Glasgow. At this time in the mid 90’s I also taught workshops at the Gallery of Modern in Glasgow so, when a post of Curator of Contemporary Art became available; I applied for it and got it! I remained in that post from 1999 until 2014. During my time there I gained my second Master’s Degree in Museum Studies from the University of Leicester. 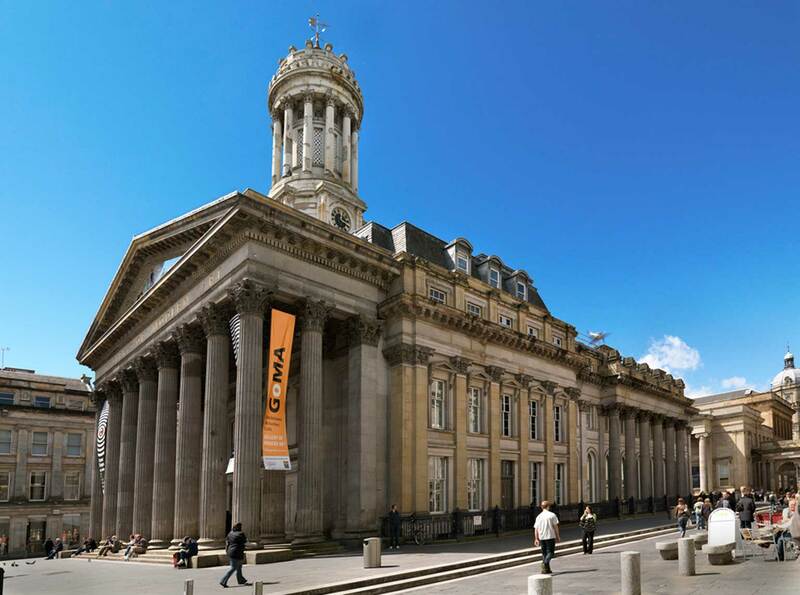 The Glasgow Gallery of Modern Art (GOMA) where Sean started his career in museums. I have now lived in Scotland for 21 years and for most of that period we have stayed in Maidens near Culzean. I was feeling like a change and I have always been interested in Robert Burns as resident of South Ayrshire. Again, a post opened here, I applied for it and got it! In my post as curator for the NTS I look after the collection at the Robert Burns Birthplace Museum and introduce contemporary art potentially anywhere in the Trust. 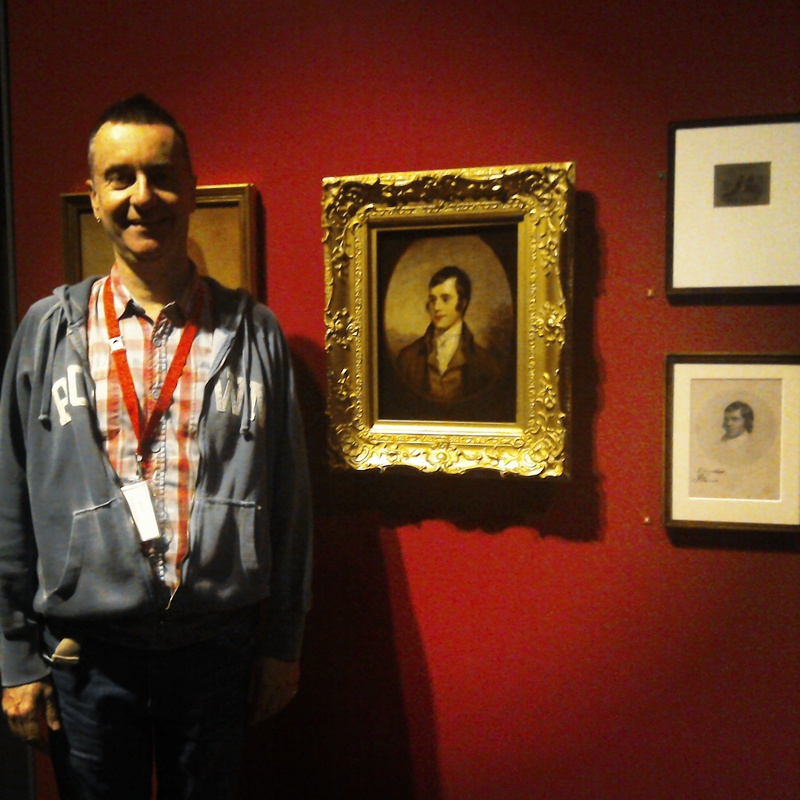 My experience with museum work and contemporary art are both useful and I very much enjoy extending my knowledge about the magnificent Robert Burns.